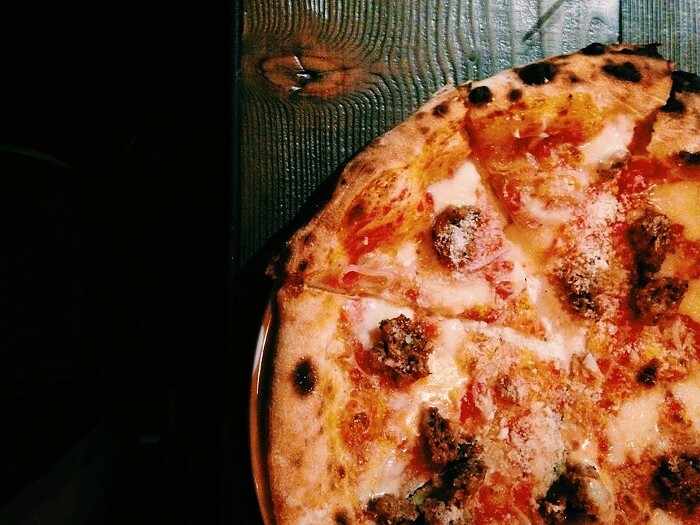 The pizza at the Masonry is up there with the best in the city. Lucas Neve runs the kitchen; he came from Cafe Lago in Montlake, which has been making wood-fired pizza for approximately 117 years. The crust is very thin in the middle, puffed up at the edges, buoyed by air bubbles; it’s got the right amount of chewiness, the gentle resistance to the bite. Toppings are local, seasonal, house-made, and so forth. Happy Hour Mon-Fri 4-6 pm.